In CODE Conference, Microsoft CEO Satya Nadella has revealed that the company has no plans whats-so-ever to sell anything related to its search engine Bing or its gaming platform Xbox. For Satya Nadella interview it is clear that Microsoft is planning to invest more into Bing and Xbox, both of which have been showing very good results. Satya said that Bing is “a lot more than Bing.com”. Bing currently commands 30% of the search engine market share, Satya told that this is similar to iPhone market share. Nadella’s point that his firm won’t sell Bing or otherwise release is simple to grok: Bing isn’t only a search portal, but is also the technology that Microsoft uses to power its broader search products that are found in Windows 8 and the like. So, to point towards a sale is to indicate that the company is willing to sell core technology to its platform work. 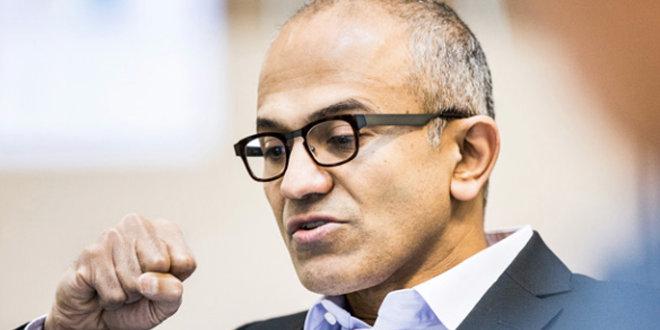 Nadella said that he has no “intent” to sell Xbox. Why? Xbox was brought into the Windows world with the release of the Xbox One. That makes it part of Microsoft’s larger platform push, and therefore core its services and devices strategy. Gold iPhone 5S Sells for $10000 at eBay!